San Antonio Investment Properties Under $40,000 Again! For the last three years, many San Antonio investment properties have been rising in price. 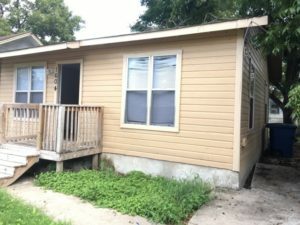 For more than a year, it was difficult to find San Antonio fixer uppers that could be purchased for less than $50,000. And when I was able to find that under market value fixer upper, it needed more than $25,000 of repairs. That can reduce the final ROI on a San Antonio property to a range of 10-11%. Now, I own dozens of San Antonio buy and hold properties that earn 10%, and I am very happy with that. But some investors like to see 12-15% returns on their money, and I can respect that. Recently, as of October 2016, some areas of San Antonio continue to appreciate in value. On the north side in Stone Oak, for example, San Antonio home prices are still rising. But many of the fixer upper San Antonio properties I buy are finally falling a bit in value. Recently I have been able to get a few fixer uppers under contract for under $40,000. Just as good, I have found some San Antonio buy and hold properties that only need $2000 or $4000 in repairs, if you do an owner finance exit strategy. This means that the ‘owner’ of the property who buys it from you on terms will fix up the property.